The objective of this study is to apply a combined region-growing and classification method for a first automatic landform segmentation of Norway at a regional scale. The classification is based on primary topographic point parameters, generated from a 500 m digital elevation model (DEM). 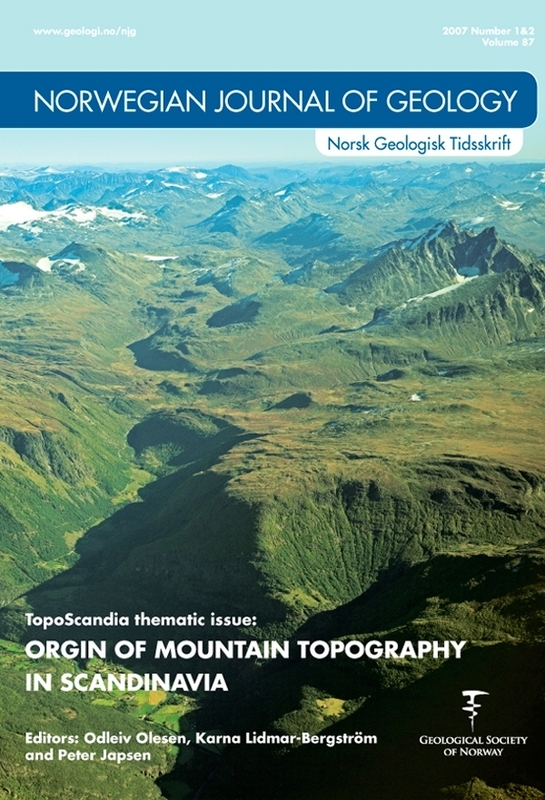 The automatic regional landform segmentation resulted in a division of Norway into 25 classes, merged into ten major topographic types. At the regional scale the resulting classes could be related to the influence of broad-scale land-forming mechanisms such as planation and uplift. Regions related to Quaternary glacial and periglacial processes, such as the magnitude of Pleistocene glacial erosion and the distribution of mountain permafrost, could be defined. The classification method, or variations of it, is usable for different purposes including the generation of new information, such as in geohazard zonation studies. This classification might serve as a basic constraint for further analyses within the TopoScandia framework, and for application to present-day processes such as rapid mass movements or as a basic constraint for further analyses aimed at highlighting the relation between land surface topography and offshore sedimentary stratigraphy.